We can handle all your bathroom remodeling needs. Whether you want traditional or contemporary, a cosmetic or general remodeling, we will build you a beautiful and functional bathroom. Our bathroom remodeling service combines quality craftsmanship with state of the art construction materials ensuring you a bathroom that not only looks great, but adds value to your home and is built to last. Whatever your desires, we understand how to construct a bathrooms that fit your needs, lifestyle and budget, better than anyone else. A bathroom remodeling project is a great way to not only enhance the livability of your home it also create lasting value. Remodeling R Us has the experience to work with you to match your style and personal preference to create a bathroom retreat that is functional, energy efficient and adds value to your home. We sit down with our clients to match their budgets, desires, and goals as closely as possible. Your bathroom remodeling project can be to simply update fixtures and repaint, or create an exquisite spa like retreat. Bathroom remodeling is one of the most popular home improvement projects. A remodeled bathroom will provide increased enjoyment of your home, and it has the highest return on investment. 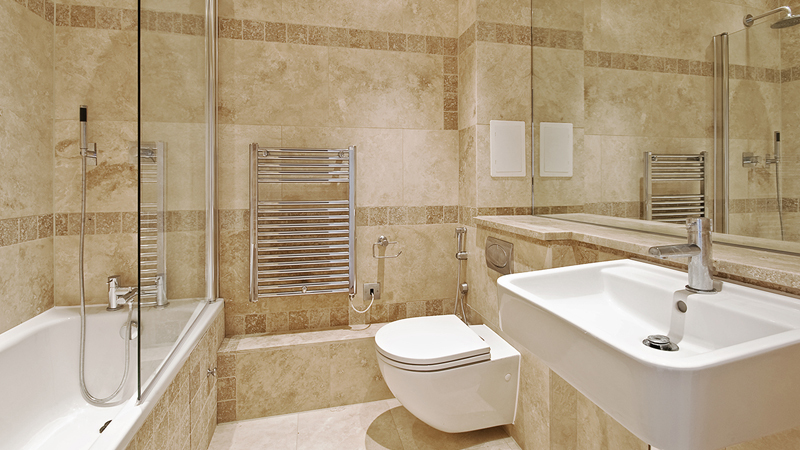 Bathroom remodeling to an existing bathroom will usually pay back around 80-90%. But as good as these returns are, think about the pleasures you’ll get from your bathroom until the time comes to sell. There are a many different reasons homeowners choose to remodel their bathroom. It seems that the one of the most popular reasons is people want a functional yet more inviting bathroom, where they can relax in the tub or shower after a long day of hard work. Since a bathroom is a place where so much time is spent, it makes sense to have one that has a soothing atmosphere. If your bathroom looks better when the door is closed, it might be time to start your bathroom remodeling project. Remodeling R Us is the Best Contractor in Los Angeles Call today and let’s get started on your bathroom remodeling project.